Queen Elizabeth Driveway near Bank St.
2 bedrooms / 2 bathrooms / ensuites apt. This is the famous Glebe neighborhood. 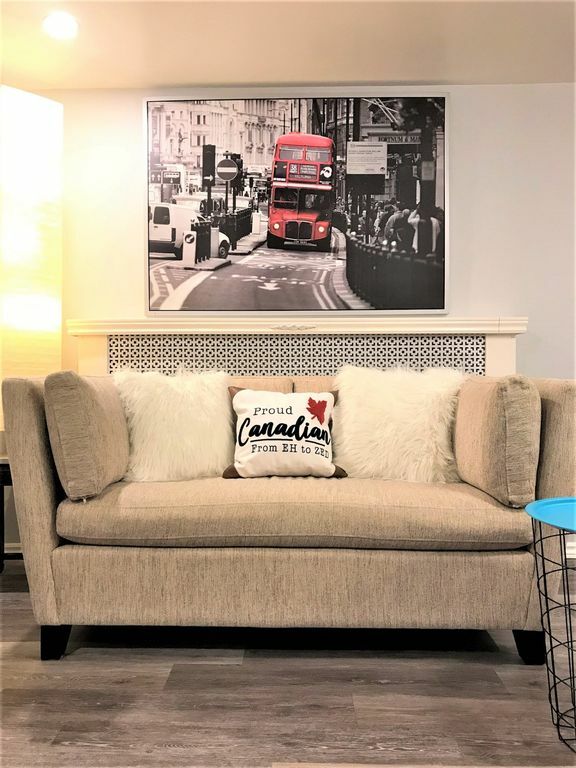 This retreat is about 50 feet from the famous Ottawa Rideau Canal, 5 minutes walk to Carleton University, 10 minutes walk to the Little Italy (Preston Street), 10 minutes walk to LAGO the wedding and event Venue, 10 minutes walk to Lansdowne Park / TD Place which frequently hosts Ottawa 67's Hockey games, Red Blacks Football games, major live concerts....and many more. There is a main bus stop around the corner and bike path in front at the canal (the city provides bikes rentals close by). Nested in the lower level of an immaculate, quiet, nonsmoking executive building on Queen Elizabeth Driveway near Bank Street. Location Location Location. This is located in the center where most annual capital attractions take place.